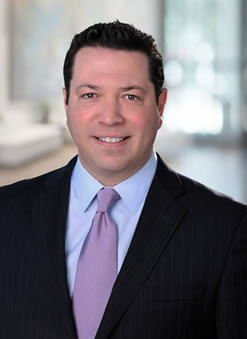 John Lucas has significant litigation and trial experience in both state and federal court, as well as in the arbitration context, and has represented both individuals and corporations in a variety of business and commercial disputes. He has had extensive experience in a variety of subjects, with a specific emphasis in entertainment and media litigation. Mr. Lucas represents talent, studios, television networks and independent entertainment production companies involved in the media, entertainment and Internet industries. These representations include actions for breach of contract, interference torts, unfair business practices, misappropriation, copyright and trademark infringement, profit participation claims, idea submission claims and media torts, including defamation, invasion of privacy, right of publicity and misappropriation of name and likeness in all media, including the Internet. Alan Ladd, Jr., et al v. Warner Bros. Entertainment Inc. Represented plaintiffs (namely Alan Ladd, Jr., two-time Academy Award-winning producer and former Chairman of MGM Studios), over the course of four years of litigation that resulted in a unanimous verdict for plaintiffs. Plaintiffs successfully challenged Warner Bros.’ methods of allocating individual license fees to films packaged in groups and sold for exhibition on television. The jury found that Warner Bros. had underallocated and undervalued plaintiffs’ films, and that these licensing practices breached plaintiffs’ contract and violated the implied covenant of good faith and fair dealing. It was the first case of its kind in the entertainment industry to result in a plaintiffs’ verdict. Mr. Lucas second-chaired the four-week jury trial, examined a majority of the witnesses and argued all trial-related motions, including all pre-trial motions, two motions for nonsuit and four post-trial JNOV motions. The California Court of Appeal upheld the jury verdict in a partially published 3-0 decision, and reversed the trial court’s dismissal of Ladd’s claims for fraud and breach of contract for loss of screen credit and improper accounting. Warner Bros. Entertainment v. Alan Ladd, Jr., et al. Defended against Warner Bros.’ petition to compel arbitration at the trial court level, and Mr. Lucas successfully argued the appeal on Respondents’ behalf. Second-chaired one-week L.A. Superior Court jury trial on behalf of major international technology and electronics company. Obtained $1.2 million jury verdict and published appellate opinion affirming all aspects of the verdict. Second-chaired month-long L.A. Superior Court jury trial on behalf of producer and former studio chairman in sexual harassment and hostile work environment case. Examined various witnesses on direct and cross, argued all pre- and post-trial motions, handled argument for all evidentiary matters. Sparks v. CBS News Inc. Obtained dismissal via anti-SLAPP motion of entire lawsuit based on news reports and successfully argued the appeal. Moline v. CBS News, Inc. Obtained dismissal via anti-SLAPP motion of entire lawsuit based on news broadcast and successfully argued the appeal. Batjac Productions, Inc. v. CBS. Defended CBS against profit participation claims by John Wayne’s heirs. Miss Universe v. Tova Corporation. Represented Miss Universe pageant corporation and CBS in a breach of contract action relating to lost profits. Mr. Lucas second-chaired the superior court bench trial and obtained verdict on plaintiff’s behalf. Obtained verdict for plaintiff against former partners of a motion picture production company in a more than 10-day arbitration, which Mr. Lucas first-chaired. Represented technology company defendants in lawsuit spawning from former employee’s claims relating to alleged deferred compensation plan. Mr. Lucas second-chaired the superior court bench trial and obtained full defense verdict. Obtained full reversal on appeal on behalf of mortgage company defendants after trial court’s denial of defendants’ anti-SLAPP motion in connection with defendants’ conduct and speech relating to their debt collection activities. Sunset Health Products v. Spectrum, et al. Represented diet drink distributor in a federal trademark action. Successfully obtained harassment restraining orders on behalf of various high-profile celebrity clients. Represented Oscar-winning actress and award-winning author, screenwriter and director in various cybersquatting disputes.